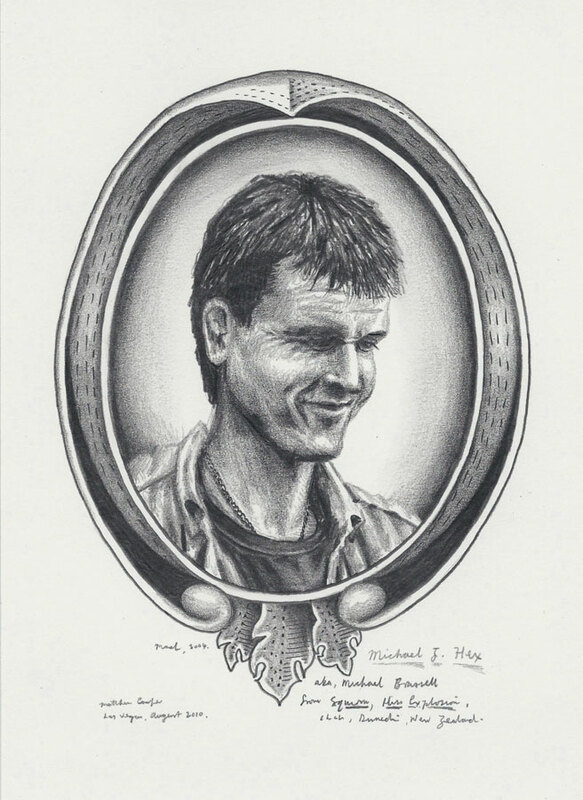 A drawing of Michael Brassell, aka Mike J. Hex of Squirm and Hiss Explosion. He passed away in 2004 from complications with pneumonia. There's a very good interview with him from 2004 here.